Once a visualization is created, it can be saved and published, your visualization will not be visible to others until they are published. Please note you must have read and write permissions to save and publish visualizations. The “my visualizations” tab will show all the visualizations created by you. Only you can see these. 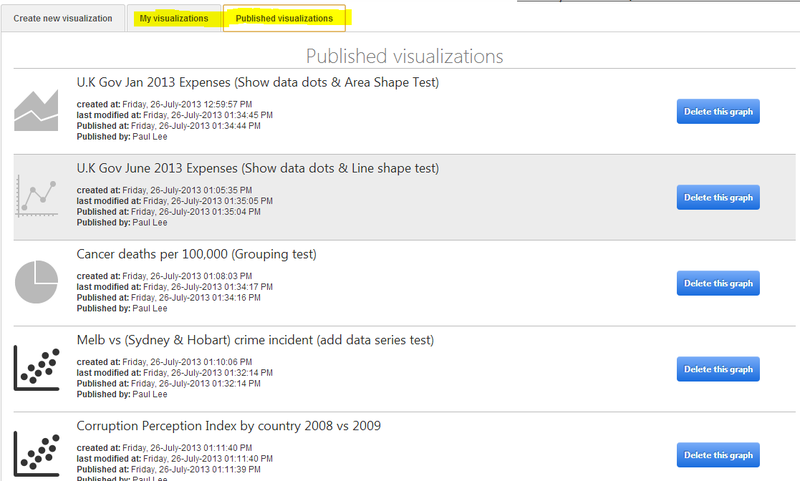 The “published visualizations” tab will show all published visualizations, including yours. Only you or the site administrator (users who has the “manage web” permission in SharePoint) can delete published visualizations.